Single pixel Fourier transform spectrometers (FTS) are powerful analytical tools that can be applied from the visible to the terahertz range of the electromagnetic spectrum. The requirements of many advanced research and development projects are beyond the capabilities of standard, off-the-shelf infrared FTS systems. Our spectrometers, including state-of-the-art detector systems from QMC Instruments, are designed end-to-end to meet the specific needs of any given customer at a competitive price. Fourier transform spectrometers are the spectrometers of choice for a wide range of applications. They find extensive use at far-infrared (terahertz) wavelengths where their high efficiency is essential to probing this energy starved region of the electromagnetic spectrum. Our designs range from the classical Michelson interferometer, through to polarizing and Mach-Zehnder configurations. The latter allow ready access to the two input and two output ports of the interferometer. Our spectrometers are reliable and robust devices constructed from precision translation stages, optical mounts and components. We have designed systems to operate in hostile environments. Our spectrometers can reach high spectral resolution with a full width at half maximum of better than 0.005 cm-1 and line position accuracy of ±0.0002 cm-1. 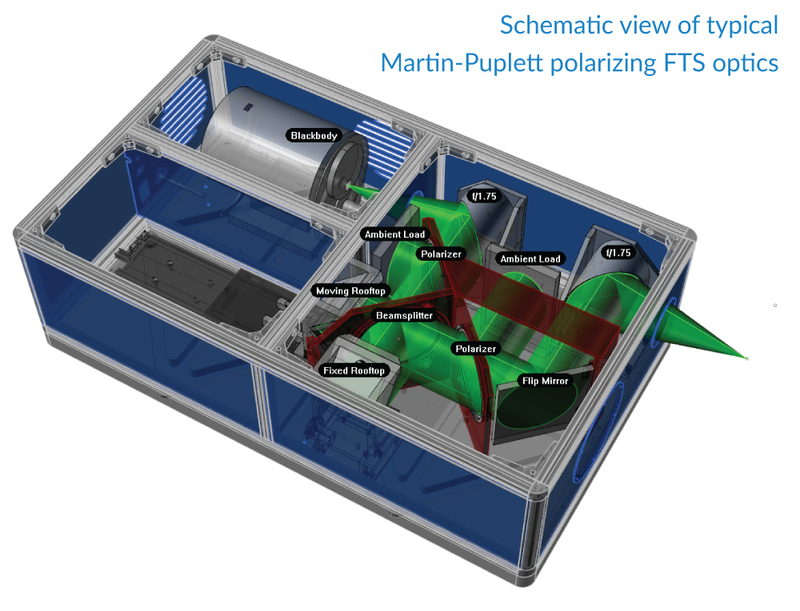 Blue Sky Spectroscopy has also developed ultra-high speed FTS with unmatched resolution and optical throughput. Scan times of 10 to 20 ms at resolutions of ~4 GHz have been achieved, over a spectral range from 70 GHz to 1 THz. In addition to the user control software, we have built up a sophisticated and comprehensive suite of processing and analysis software for the FTS system. Standard analysis tools are made available that implement a wide variety of cutting-edge data processing routines for deglitching, phase correction, and apodization to provide data of optimal quality.